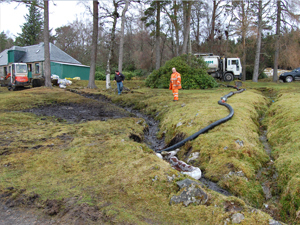 A 2,200 litre gas oil spill from a generator room on a remote Scottish estate, within an area designated a Special Area of Conservation (SAC). 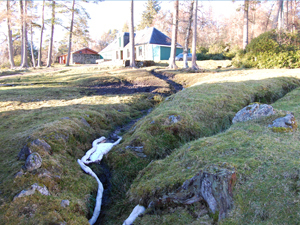 Water for the property was obtained from a spring. 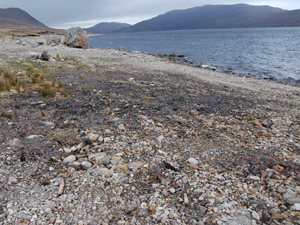 A SSSI and loch 150 metres to the south was impacted. A desk top study which immediately highlighted the sensitivity of the site. 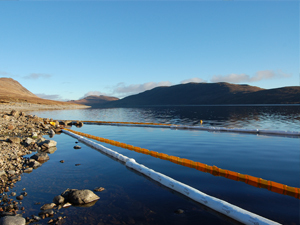 Emergency response including deployment of permanent buoyancy / retention booms in the loch to contain the spill and protect cofferdams used to extract drinking water from the loch. A four phase water treatment system was installed, which treated contaminated water and circulated it through a separator and several filters. The system prevented the requirement to dispose of large quantities of contaminated water and beach materials thus minimising costs and disruption for the estate. The completed actions prevented impacts to the sensitive surrounding environment. Contamination was remediated to acceptable levels and to the satisfaction of the regulator. 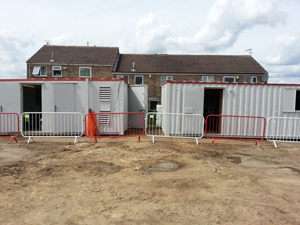 The implemented remediation saved costs due to limitation of off-site waste disposal. OHES Environmental Claims Management team were instructed by liability insurers to deal with an urgent claim at a large housing redevelopment in Nottinghamshire. A major construction company were mobilising to begin work on the redevelopment and 200 litres of gas oil had accidentally been delivered to a drinking water tank used for site welfare. Liability was not in dispute. Due to the Health and Safety risk the site was to be closed and workers laid off. Immediately after instruction OHES provided over the phone expert advice to the site manager in order to minimise impact. OHES quickly initiated an emergency response thus negating the need for site closure. 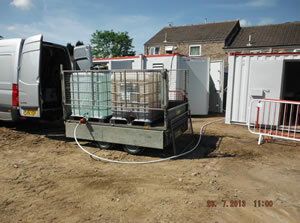 The affected tank was emptied and the contents sent to a licenced facility for disposal. 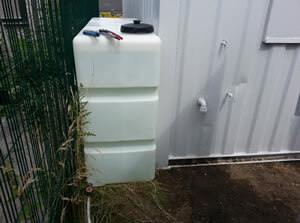 A temporary tank was supplied and installed to ensure that fresh water was available for site welfare. OHES removed the contaminated tank and associated infrastructure. Expert advice and prompt handling removed the risk and prevented site closure. Contractors were able to proceed with the work without disruption to the tight time schedule. Any liquidated damages claim for delay in completion was avoided.